18-07-2016, 11:45 - Floppy disks that stop being writeable? 07-06-2016, 16:32 - can Yamaha YMF278 (Moonsound) really use samples as instruments? 07-06-2016, 12:05 - can Yamaha YMF278 (Moonsound) really use samples as instruments? 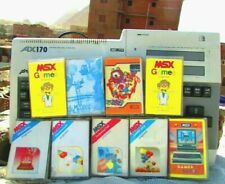 30-05-2016, 15:25 - Missing MSX2 in Wiki? 30-05-2016, 13:22 - Missing MSX2 in Wiki? 02-12-2015, 15:58 - How many MSXes do you have and why?